Excavator windows, windscreens and cab glass are vulnerable to damage because of the hazardous environments they are used in. Here at Plant Glazing Services we specialise in re-glazing heavy plant equipment such as excavators, and thanks to our years or experience and our fully trained team we can guarantee a comprehensive and reliable service. We keep a stock a specialist glass, both curved and flat, and can cut sheet glass to size on site to assure you of a precision fit. Whichever part of the cab you need re-glazed you can be sure we have the tools, skills and materials to help. We know that as a business, time lost due to damaged glazing can cost you money, so we always endeavour to limit your vehicles downtime, even if we have to source a specific type of glass for you. 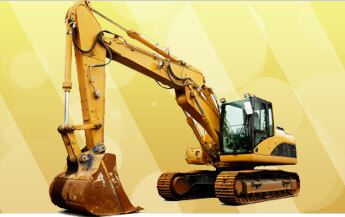 We can handle glazing repairs on all brands of excavators, including the leading manufacturers. 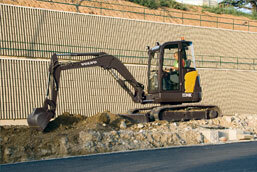 So if you need expert excavator glazing services there's no better company to call.